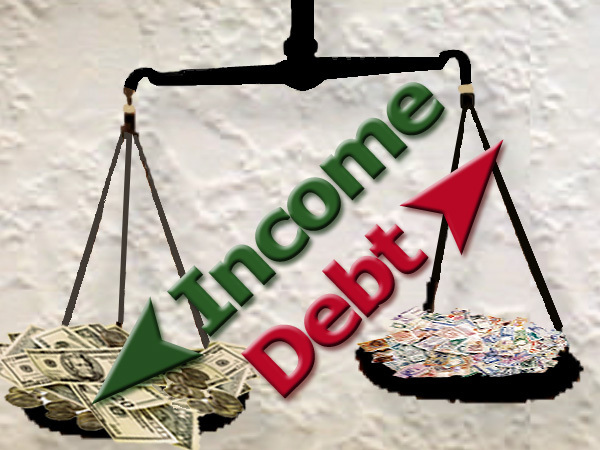 Debt to income ratios - BeneGroup, Inc. Your debt to income ratio is simply a way of determining how much money is available for your monthly mortgage payment after all your other recurring debt obligations are met. There is generally a debt limit associated with each type of loan, such as a 28/36 qualifying ratio for a conventional loan. These qualifying ratios are guidelines. An excellent credit history can help you qualify for a mortgage loan even if your debt load is over and above the limit. Typically conventional loans have a qualifying ratio of 28/36. Usually an FHA loan will allow for a higher debt load, reflected in a higher (29/41) qualifying ratio. The first number in a qualifying ratio is the maximum percentage of your gross monthly income that can be applied to housing (including loan principal and interest, private mortgage insurance, hazard insurance, property taxes and homeowner's association dues). The second number is the maximum percentage of your gross monthly income that can be applied to housing expenses and recurring debt. Recurring debt includes things like car loans, child support and monthly credit card payments. Remember these are just guidelines. We’d be happy to pre-qualify you to determine how large a mortgage loan you can afford. We look forward to helping you buy your dream home.